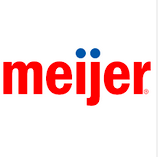 If you're a Meijer shopper, be sure to register or log in to mPerks to access a free digital coupon valid for a FREE Meijer Ibuprofen or Pain Relief Product (10-count)! To load this coupon, click "mPerks is 5"! This coupon must be loaded and redeemed today! You can usually find this product in the checkout lanes!